We have shown our love for ERGO carriers before, and the reasons continue with a new, neutral and stylish option: the Lattice carrier comes in a cool, creamy taupe with a lightly colored geometric print to add more interesting details (plus, it’s organic!). ERGObaby also came up with a perfect organic cotton set that will keep your tot portable from infancy to toddlerhood. The Bundle of Joy includes a matching Infant Insert to keep baby cozy and comfy along with their ever popular Ergobaby Carrier. And while most Dads would do anything to keep baby happy (even if that means walking him or her in circles for hours wearing a fuchsia carrier with bunnies printed on it), we know a few who are happy that the Bundle of Joy comes in a rich chocolate brown and a deep navy blue. 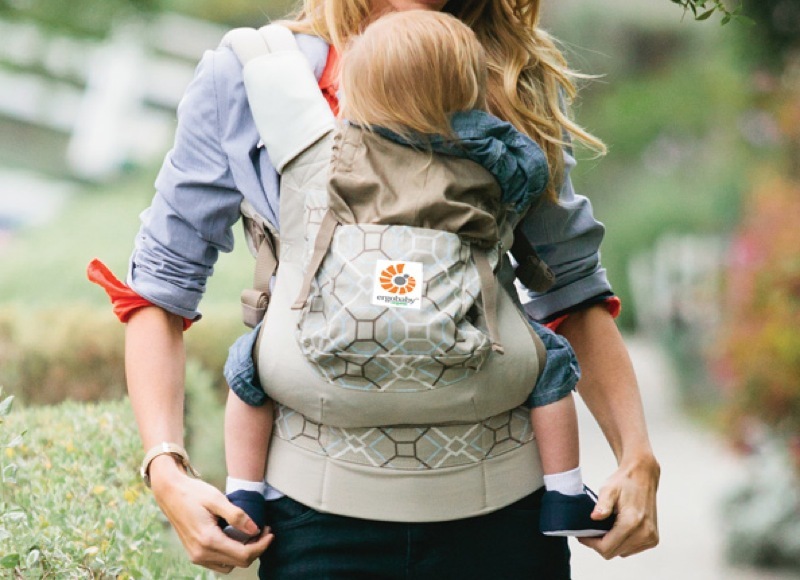 We have shown our love�for�ERGO carriers�before, and the reasons continue with a new, neutral and stylish option:�the Lattice carrier comes in a cool, creamy taupe with a lightly colored geometric print to add more interesting details (plus, it's organic! ).�ERGObaby also came up with a perfect organic cotton set that will keep your tot portable from infancy to toddlerhood. The Bundle of Joy includes a matching Infant Insert to keep baby cozy and comfy along with their ever popular Ergobaby Carrier. And while most Dads would do anything to keep baby happy (even if that means walking him or her in circles for hours wearing a�fuchsia�carrier with bunnies printed on it), we know a few who are happy that the Bundle of Joy comes in a rich chocolate brown and a deep navy blue.